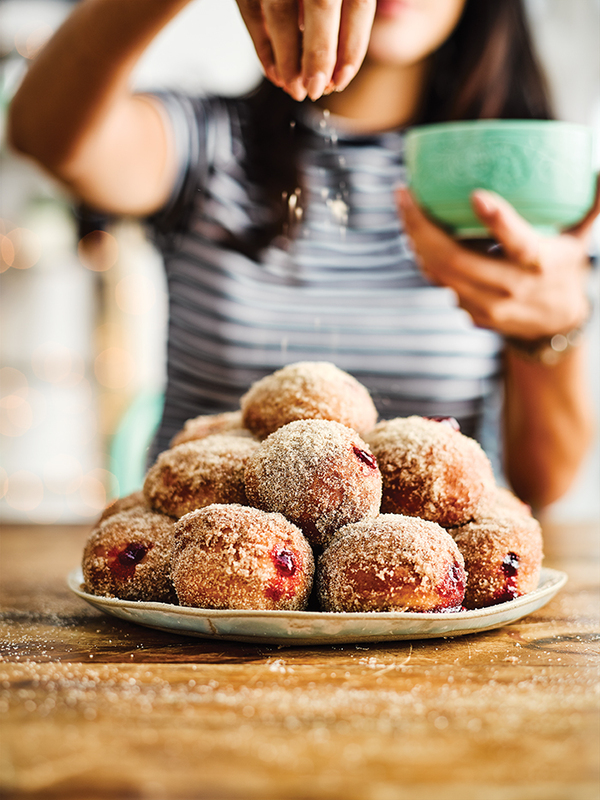 You’ll go nuts for these vegan hot cinnamon and jam doughnuts! Line a baking tray with greaseproof paper. 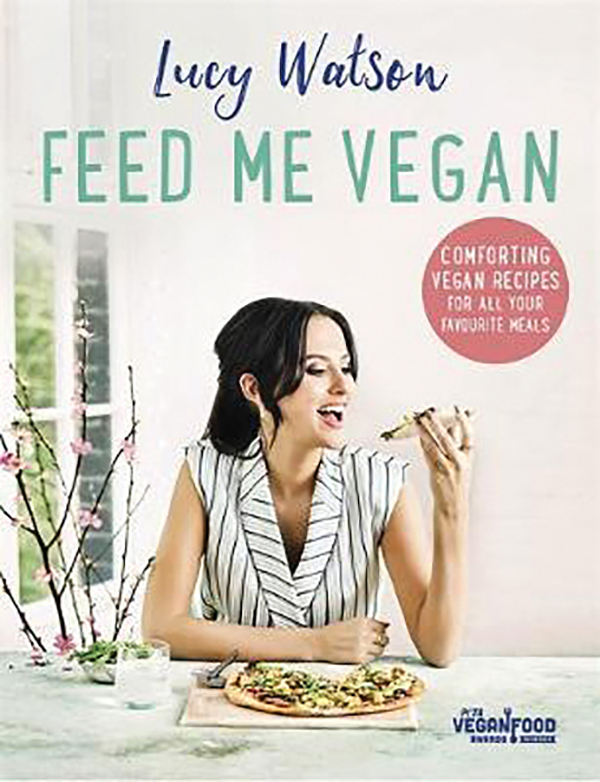 Put 240ml (8½fl oz) warm water in a small bowl and add the yeast and 1 tbsp sugar. Stir to mix, then leave for 5-10 minutes to activate and become frothy. Put the butter in a small bowl and add the vanilla. Stir well to combine. Sift the flour, baking powder and cinnamon into a large mixing bowl and stir in the 60g (2oz) sugar. Make a well in the centre. Pour in the yeast mixture and the butter mixture, and stir well until the mixture comes together to form a dough. Remove from the bowl and knead the dough on a lightly floured work surface for 3-4 minutes until smooth. Clean out the bowl and lightly grease it with a little olive oil. Put the dough back in the bowl and cover with clingfilm. Put the bowl in a warm place for 1 hour or until the dough doubles in size. Roll out the dough on a lightly floured work surface until it is 2.5cm (1in) thick. Using a 5cm (2in) plain round cookie cutter, cut out rounds and place them on the prepared tray. Leave for 15 minutes to rise. Heat the oil at a depth of 5-7.5cm (2-3in) in a large saucepan or deep-fat fryer to 170°C (test by frying a small cube of bread; it should brown in about 60 seconds). Lower the dough circles five or six at a time (depending on the size of your saucepan) carefully into the oil and cook for 2-3 minutes on each side. They will puff up and turn golden brown. Remove from the oil and drain on kitchen paper, then put them into the cinnamon dusting and coat well all over. Put some jam into a piping bag. Poke a hole into each doughnut using a skewer or chopstick, then pipe a little jam into each doughnut. Serve while still hot.